The long-awaited 4469 Broadway Project offered a little bit of everything. The project was created in response to the shortage of high quality, affordable spaces in the low- income Washington Heights/Inwood neighborhood in Northern Manhattan. The overall project included over 13,500 square feet of community facility space, over 8,500 square feet of retail space, and 85 residential units of which 100% of which were reserved for workforce housing or low-income families. 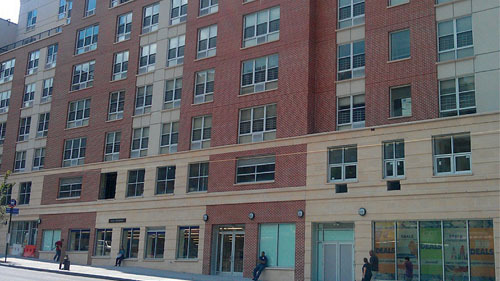 The development also allowed the Headstart program of Columbia University’s School of Public Health to expand its comprehensive child development services. In this neighborhood, over half the residents are immigrants from the Dominican Republic, Mexico, and Ecuador. At the time of the project close, the area suffered from 30.6% poverty rate, more than 12% unemployment rate, and a 54.6% median family income ratio. The families that were living in this neighborhood needed better quality jobs, health and child care services, and affordable quality goods. The 4469 Broadway Project directly addressed these needs in a way that would not have been possible without New Markets Tax Credits. Carver Federal Savings Bank contributed to the 4469 Broadway development as a co-allocatee of New Markets Tax Credits. By combining its tax credits with NCIF’s, the bank was able to generate fee-based income, supporting the sustainability of its mission and operations. The bank was also able to bring a catalytic investment and job opportunities to its low-income community members in Washington Heights. By building relationships with the project developer and with Citi, Carver established connections that will enable other high-impact projects in the future.